This is a PowerPoint lesson plan with questions to accompany the poem "Barbie Doll" by Marge Piercy. Although this poem was in written in the 70's the theme still resonates today. 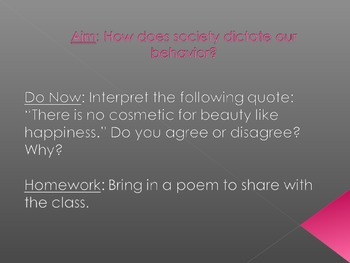 I'm also including a handout with the poem and the questions. If you have any questions feel free to ask.